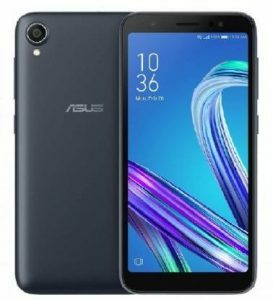 After the great success of the Asus Zenfone Max Pro M1 in the mid-range segment, the Taiwanese giant has now offered an ultra-budget smartphone named as the Asus Zenfone Lite L1, launched along with the Zenfone Max M1 a couple of days back, continuation to the partnership with Flipkart. The Asus Zenfone Lite L1 is nearly a toned-down version of the Asus Zenfone Max M1 and bears almost similar things with a few cuts here and there. As far as the pricing is concerned, it is priced at Rs. 6,999 but will be sold at an introductory offer price of Rs. 4999 for this festive season. It will be sold in Black and Gold color options exclusively on Flipkart. Asus is further offering a 10% Instant discount for Axis Bank Debit & Credit card users, making it one of the best deals for that price. Other offers include Rs. 2,200 cashback and 50GB additional data for Jio users, and complete mobile protection including theft protection for just Rs. 99 (original price Rs. 399). The device will be competing with other entry-level contenders like the Infinix Smart 2, Redmi 6A and the 10. Or D2 smartphones. Let us have a look at some of the Asus Zenfone Lite L1 Features and Specifications. The Asus Zenfone Lite L1 comes with a very basic design, bearing a plastic body with a metallic finish. At the front, we have a 5.45-inch IPS Display with an HD+ resolution of 720 x 1440 pixels in an 18:9 aspect ratio. The display further bears a maximum brightness of 400nits followed by an 800:1 contrast ratio, 65 percent NTSC color gamut and a pixel density of 295ppi, reminiscent to the one on Max M1. The phone bears a good overall screen-to-body ratio of 82%. Powering the phone is the Qualcomm Snapdragon 430 SoC coupled with Adreno 505 GPU, 2GB of RAM and 16GB of Internal storage. 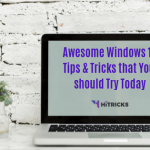 This is the best configuration you can get under this price and can get you through all your basic tasks easily, however, don’t expect it to play graphics intensive games. You can further expand the storage up to 256GB via a microSD card slot. In the optics department, the Zenfone L1 gets a single 13-megapixel shooter at the back with f/2.0 aperture, 1.12um pixel size, and PDAF along with an LED flash. On the front, we have a 5-megapixel front sensor with f/2.2 aperture, 1.2um pixel size, that too with an LED flash. Moreover, the camera is equipped with certain features like beauty filters, portrait mode, and HDR mode. Do note that the phone skimps on the Fingerprint scanner and instead, relies on Face unlock for unlocking the phone. On the software front, it runs on Android 8.0 Oreo with ZenUI 5.0 layered on top. It draws its juice from a 3,000mAh battery which will get you through a day of medium use, thanks to the useful power saving features of the ZenUI and a low-resolution display along with a power efficient chipset. 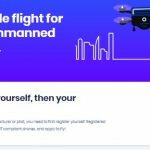 Connectivity options include 4G VoLTE (lacks True Dual VOLTE), Wifi 80211 b/g/n, Bluetooth v4.0, GPS, GLONASS followed by sensors including accelerometer, e-compass, proximity sensor, and ambient light sensor. Lastly, the device weighs for just about 140 grams due to the plastic build and smaller battery capacity. 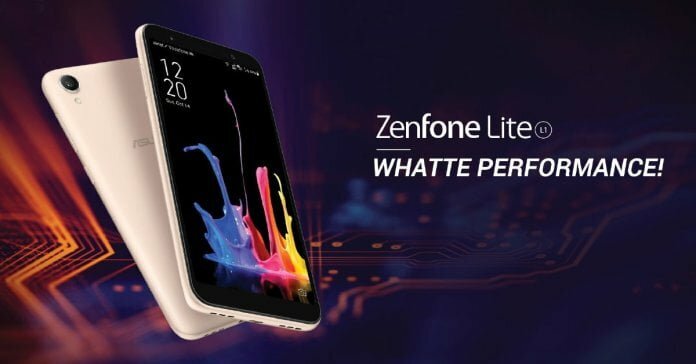 If you look closely, the Zenfone Lite L1 shares the same display, processor and rear camera from its elder Zenfone Max M1. Whereas, front camera, no fingerprint scanner, inferior build, lesser RAM and storage are the factors making it around Rs. 2,500 cheaper than the latter. If you are looking for a budget smartphone for the basic purpose, you can’t go wrong with either of them. You can check the detailed Asus Zenfone Lite L1 specifications below.